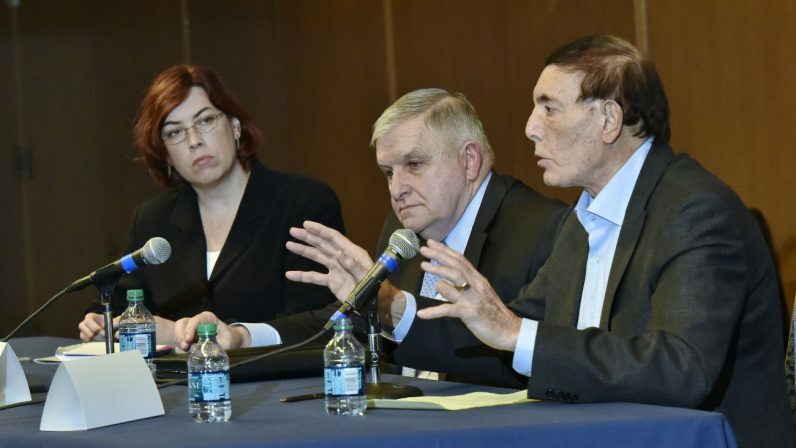 Consensus about the Middle East and its long-simmering tensions might seem hard to come by, but a dozen international scholars, government officials and leaders of non-governmental organizations found a few points of agreement during a meeting this week at Villanova University. 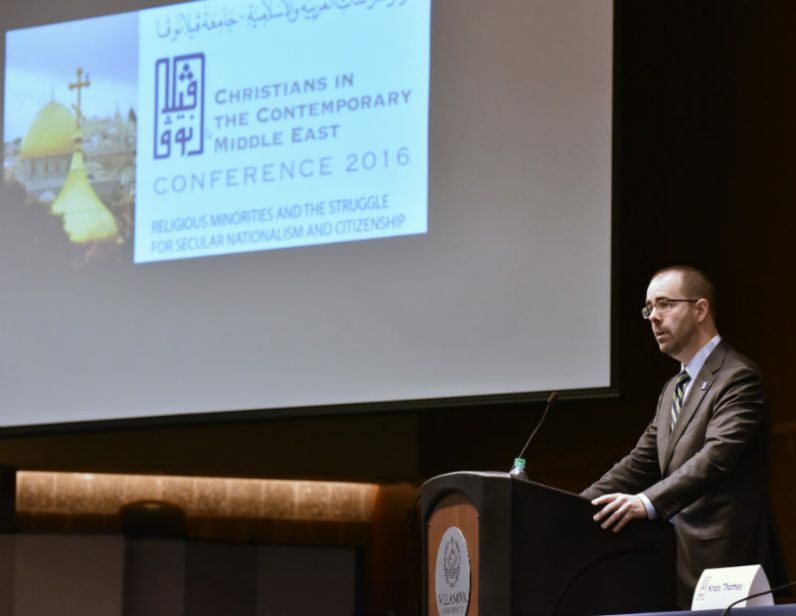 That was the grim picture painted for 160 participants of the Dec. 5-6 international conference examining the plight of Christians and other religious minorities in the Middle East in the context of the current political, social and security struggles of the region. Organized by Augustinian Father Kail Ellis of the university, the conference drew top diplomats, scholars from Lebanon and the United States, and policy advisers, along with leaders of NGOs such as the Catholic Near East Welfare Association (CNEWA), a Vatican-approved agency based in New York. Augustinian Father Kail Ellis welcomes 160 participants to the conference he organized Dec. 5-6 at Villanova University. But it would be the high watermark for optimism, as speakers acknowledged that a diaspora of Christians from the region is in full swing. Driven by persecution, discrimination and war in Iraq and Syria, many Christians are fleeing, despite pleas from religious leaders to remain in their homelands. Statistics from CNEWA show that while Christian communities have been a minority for a long time, their share of the population has declined dramatically in recent years. In 2015 Christians accounted for only between 1 and 6 percent of the population in Iraq, Israel, Palestine, Syria and Jordan. They had been between 10 and 20 percent 30 years ago. In Egypt Christians make up 10 percent of the population today, down slightly from 12 percent in 1980. But they face legal and social discrimination in that country, several panelists at the conference said. In Lebanon Christians made up 39 percent of the population in 2015, down from 55 percent in 1970, a decline attributed to that country’s 1975-1991 civil war. The country today struggles to manage millions of refugees, including an estimated 700,000 Christians, from the current war in neighboring Syria. The decline stretches back centuries, but the panelists at Villanova agreed the invasion of Iraq in 2003 by Western powers and the subsequent failure of the U.S.-led civil government was “devastating, and had a catastrophic impact on Christians,” said Brian Katulis, a political analyst on the Middle East. 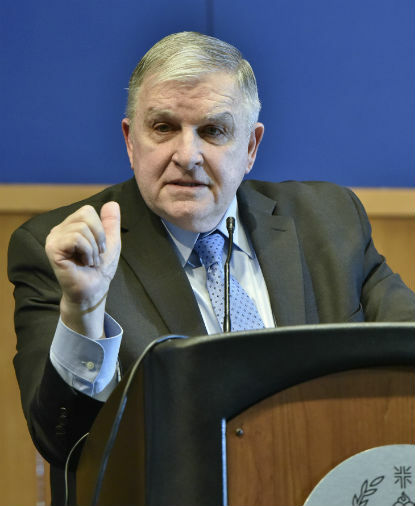 Retired four-star Marine General Anthony Zinni, who led the U.S. military’s Central Command in the region from 1997 to 2000, was even more blunt in his assessment of the decision by the Bush administration to invade Iraq. Zinni began his long career in the military after growing up as a parishioner of St. Matthew Parish in Conshohocken, Montgomery County, then shipping out to fight in the Vietnam War as a second lieutenant. Rising through the Marine ranks to the military’s highest command levels during the Cold War, he said the armed forces’ first goal has always been one of deterrence and containment of external threats. “We did everything to avoid conflict,” he said of the long-standing American military strategy. But where use of force is deemed necessary, overwhelming resources should be brought up along with a clear exit strategy for the forces, along with agreement by the American people. He and other generals had recommended that if political leaders wanted an invasion, more than 300,000 troops would be needed “to secure the borders and the population, to keep them from killing each other,” he said. Only a fraction of that number achieved initial success by ousting the regime of Saddam Hussein. Mistakes by the American administrator in Iraq, Paul Bremer, and his “ad hoc pick-up team” as Zinni described it, included disbanding the country’s military, its political party and its state-owned factories. This caused the dissolution of Iraqi civil society and meant the U.S. Army was left to assume 56 administrative roles ranging from managing agriculture and mediating tribal disputes to running museums and swimming pools. Despite attempts to hold Iraq together, it descended into violent chaos in the years that followed and led to the rise of the Islamic State in Iraq and Syria (ISIS) and political instability across the region including a civil war now into its sixth year in Syria. The human toll has been catastrophic, with perhaps 2 million dead in armed conflicts in Iraq and Syria and tens of millions displaced, living in refugee camps across the region or migrating to Europe and beyond. That is the tragic recent history. 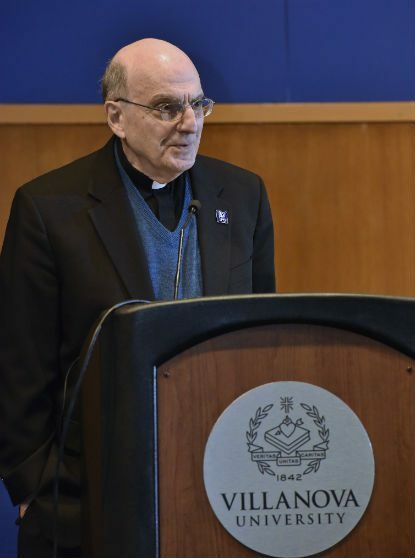 Speakers at the Villanova conference suggested ways forward to peace and renewed stability in the Middle East but no one expressed optimism for the near future. Proposals for peace among Israelis and Palestinians suggested incremental progress on side issues could be achieved without an overarching peace deal, which all parties acknowledge but are not willing to accept. Zinni, who after his military service has worked for years as a diplomat in several countries, said in the near term “it’s time for NATO to stand up forces to eliminate ISIS. That’s a necessary first step.” But after that, Iraq and Syria are likely to remain fractured and their refugee citizens living in overwhelmed neighbor countries. He believes a United Nations Security Council representative, regional representatives and figures from the European Union and the United States “ought to be getting together now and exploring” the concept of “emiratization” he described. “I just don’t see Syria like the way it was and in some respects you’re not going to see Iraq as it was,” he said. What that means for the Christian communities in the holy land is that they will continue “to find ways to move on to other places where they feel more secure,” Zinni said. His concept of a reconstructed Middle East, or an alternative to it, will take much agreement from many parties hardened by more than a decade of failure, mistrust and violence. It will also take a long time to achieve. “It’s a decades-long process, not a years-long process,” he said. I participated in the meeting and it was enlightening.